Get Ready for the biggest St. Patrick’s Festival yet! Street theatre and performance, pageantry, spectacle, music, dance, literature, comedy, film, and family events are planned as part of a jam-packed schedule over 5 electrifying days! The Festival Parade on March 17 is the highlight of the festival. The spectacular procession will meander through the heart of Dublin City mesmerising the audience along the 2.6km route, lasting approximately 2 hours. A People’s Procession will preceed the Festival Parade at 11am, with 8,000 people from across the world marching through the streets ahead of the spectacular parade floats and entertainers. City at Play – Funfairs – Thursday 14th – Monday 18th. Running from Thursday to Sunday the funfairs are located at Merrion Square, Wolf Tone Park and Custom House Quay. 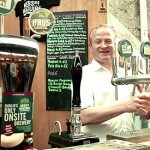 Irish Craft Beer Festival – Thursday 14th – Sunday 17th. Located at Georges Dock, IFSC, expect artisan food stalls, music, workshops and Irish craft beers! 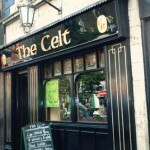 Festival Ceili – Friday 15th March. Join the expert callers, dancers and musicians on St. Stephens’s Green and dance the evening away learning jigs and reels! Big Day Out – Saturday 16th March. A street carnival like no other, Big Day Out is bursting with colour, street performances, theatrics, Irish language events, workshops, fun zones, music, open air shows and more. Festival Treasure Hunt – Monday 18th March. A free, fun-filled and novel trail through a collection of Dublin city’s landmark buildings and venues. Plot your route, solve the clues and race back to base at Dublin’s City Hall to finish and record your adventure! Throughout the 5 day Festival there are many more events including guided tours, street entertainment and theatre, trad sessions, cultural events and much much more.